The red scarf, the black van, the vice president’s “doll box.” The blockaded street, the narrow escape, the congressional testimony. The sugar pill, the president’s statement, the prisoner exchange. The profusion of details in “Paean to the People”—which, in concert with “All In,” forms Homeland’s finest one-two punch since “There’s Something Else Going On” and “13 Hours in Islamabad”—is misleading, because it’s an episode, a season, of subtraction, not addition. By the time “Paean” reaches its jet-black conclusion, with Carrie (Claire Danes), mad-eyed and disoriented, released into Saul’s (Mandy Patinkin) custody on an Estonian bridge, President Keane (Elizabeth Marvel) has long since resigned; Franny is scarcely a memory; Brody and Quinn and Aayan and Dante are milestones on the path to the present, or perhaps back to the past, as we’re left with the two stalwarts we started with. It’s happened haltingly, with missteps and strange detours and more than the series’ fair share of clumsy plotting, but from the sheer ludicrousness of “Enemy of the State,” Homeland has made a profound transformation. As with Keane’s stirring, unflinchingly honest Oval Office address, the Season Seven finale caps off the series’ return to first principles, which is how Homeland saved itself. This isn’t the first time Homeland has gone through the cycle from A to B and back again, and in each case the lean, capable espionage drama at the series’ core came through only when the writers were willing to blow up their own groundwork: At the conclusion of Season Three, with the execution of Nicholas Brody, and at the end of Season Six, with the sacrifice of Peter Quinn. In certain quarters, these are unforgivable choices, and I understand that—over time, we forge bonds with the characters on long-running TV series, and to sever those bonds so precipitously can be jarring. But Homeland’s penchant for radical transformation is also central to its success: As The New Yorker’s Emily Nussbaum once wrote of The Good Wife, it’s a TV series “always under construction,” the prerequisite for which is sometimes demolition. After a season spent wiping the slate clean, “Paean to the People” completes the task; it’s akin to an old ballpark threaded with explosives, waiting for the signal to implode. In “Paean to the People,” then, the most important details are the first principles: the wait at the border crossing during a race against time, the bloody smile after a successful op, the thousand-yard stare at a probing question. The brutal silence, the rousing speech, the fraught negotiation. The simplicity, the frankness, the courage—if you can call it that—to raze it all, to treat the season’s dangling threads as superfluous. 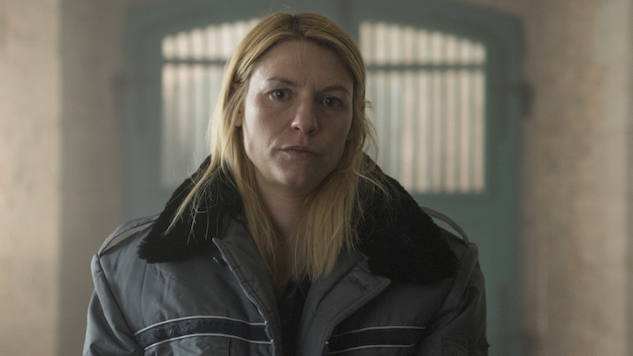 Paste’s assistant TV editor, Amy Amatangelo, suggests that Homeland has set itself up to come full circle, with Carrie’s loyalty thrown into doubt as Brody’s once was, and I’m inclined to agree: For one thing, she’s pretended to go around the bend for a mission before (Season Three’s “Game On”); for another, Gromov’s reference to “the seed of doubt… something to water and let grow,” describes such a plot rather perfectly. After running me ragged all these years, after testing my own loyalties time and again, I cannot say I’d be shocked if Homeland carried off its final season by performing the only coup that could match its first. Whatever Season Eight has in store for us, though, it’s clear that the series saved itself by being itself—nothing less, nothing more. At the conclusion of an arc in which our heroine confronted herself, we’re left to wonder what remains of that self, and maybe the lesson of this entire roller coaster ride is that Homeland has always been set, first and foremost, in the space between Carrie’s ears.